This new rose gold version of the 5524 is nothing more than a change of colours – for both the case and the dial – and the men’s version of a pair of watches introduced coincidentally at Baselworld 2018. 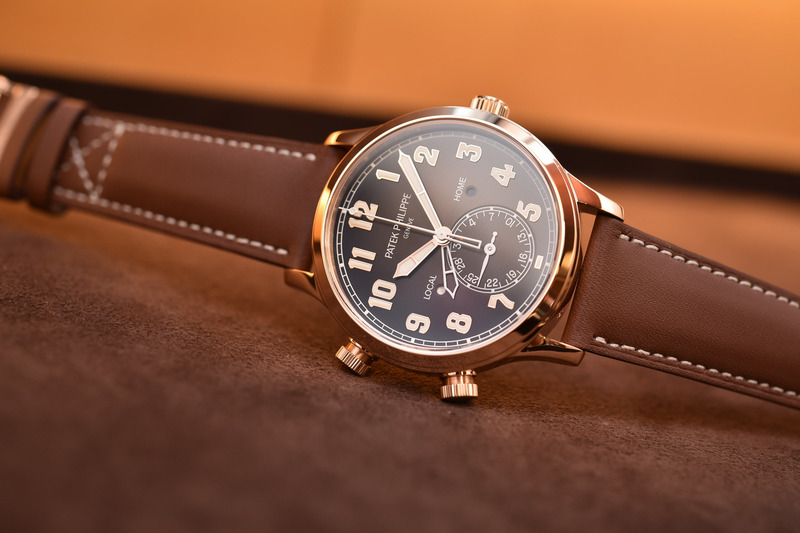 Indeed, not only Patek has updated the men’s model but a ladies’ version has also been added to the collection, the Calatrava Pilot Travel Time 7234R Lady and its 37.5mm case – and indeed, it looks entirely equal with just different proportions, as reported by Rebecca in her review here. Two different sizes and a unique recipe for a highly desirable pair of watches. So, the question is: why this rather simple change of colours makes such a difference? answer a bit later in this article, after a look at the watch itself. 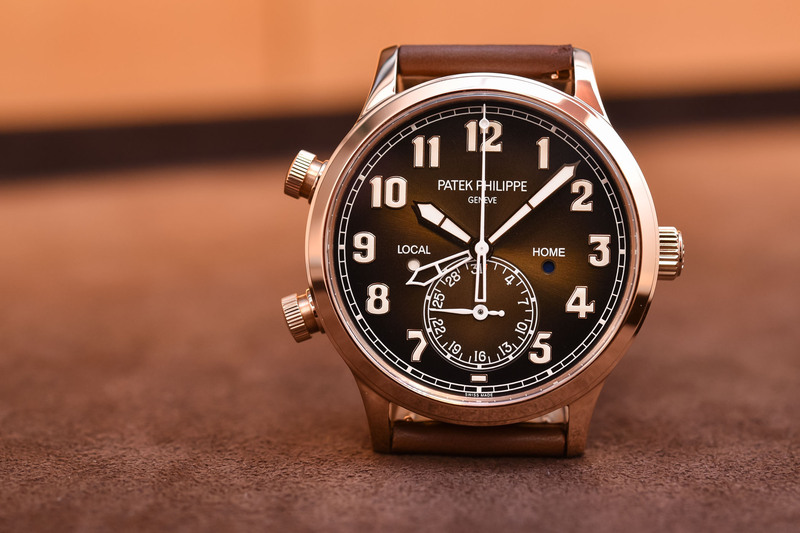 The watch Patek came with at Baselworld 2015 was quite classical – gothic applied numerals and antique pilot’s hands (that many compared to the Zenith Type 20 watches) – but when looking at Patek’s production, it was somehow radically different. So different that this watch became a hot topic of discussion. Back then, it was certainly a misunderstood creation. Yet, the watch had some arguments and, 3 years after its launch, many changed their minds – including me again – and the 5524 became an integral element of the collection (even with the inaugural white gold/blue dial combination). Being a pilot’s watch doesn’t mean this Calatrava Pilot Travel Time 5524 isn’t a proper Patek either. It combines the attributes of both worlds in a desirable manner. The case, at least for a Patek, is large at 42mm and rather sporty in terms of shape and design. On the other hand, it was made of white gold and not of stainless steel. The dial showed large luminous numerals, yet they were extremely delicate in their execution. Also, the watch featured one of Patek’s signature display, the “Travel Time” indication as found on the Aquanaut for instance. Finally, the combination of a matte dark blue dial and a white gold case was sporty and in the vein of a pilot’s watch – and maybe, this is where it was too radical and not Patek enough.